The eight-floor, 103-room facility will be located just 70 meters (230 feet) away from the existing Hotel JAL City Haneda Tokyo. Free shuttle buses will connect the hotels with the airport. ORIX Real Estate Corporation, a subsidiary of ORIX Corporation, and Okura Nikko Hotel Management Co., Ltd., operator of the Hotel JAL City brand, jointly announced today that this coming September they will open Hotel JAL City Haneda Tokyo West Wing as the brand’s second hotel near Tokyo’s Haneda International Airport. ORIX Real Estate will operate the hotel, which is currently being constructed by Airport Facilities Co., Ltd. Guests will be offered four room types, including business-purposed rooms with generous workspaces and spacious twin bedrooms for international travelers with larger luggage. The hotel’s interior features a distinctively Japanese ambiance created by the global design and architectural firm Gensler. The San Francisco-based company boasts a portfolio that includes The Beverly Hilton in Los Angeles, Le Méridien Chicago, Grand Hyatt Incheon, Indigo Hotel in Saudi Arabia and many other notable properties. International travelers are increasingly flying in and out of Haneda International Airport, Japan’s most-used airport and one of the busiest airports in the world. A key reason for its growing popularity is its extra-convenient location. According to the Japan National Tourism Organization, international travelers to Japan rapidly increased to nearly 21.4 million, an all-time high, in the fiscal year that ended in March. Looking ahead, the Japanese government hopes to welcome 40 million overseas visitors in the year 2020. 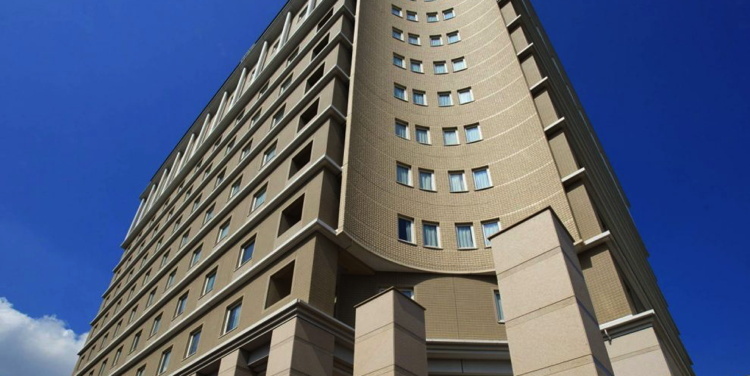 Going forward, ORIX Real Estate and Okura Nikko Hotel Management will respond to growing accommodation demands through their hotel businesses.